Baltimore Maryland is the proud home of the nationally renowned B&O Railroad Museum, a spectacular collection of train engines and historical relics on display in a huge 7-acre property on the site of the B&O Railroad’s old Mount Clare Station and adjacent roundhouse. When the museum first opened on July 4, 1953 it was originally called the Baltimore & Ohio Transportation Museum and only later came to be known as the B&O Railroad Museum. The museum is located at 901 W Pratt St, Baltimore, MD 21223. In 1961 the museum and associated station were recognized as a U.S. National Historic Landmark. The Mount Clare station that exists today was constructed in 1851. The roundhouse adjacent to it was built in 1884 in order to be able to service the B&O Railroad’s passenger cars. Mount Clare Station can really be considered the birthplace of railroading in the USA. Construction began on the B&O, or Baltimore and Ohio Railroad in 1828. The very first regular railroad passenger service in America began there on May 22, 1830. On that date, the first B&O train travelled 13 miles from Mount Clare Station to Ellicott Mills (now known as Ellicott City, Maryland). The swift growth that the United States saw in the 1800’s can partially be credited to the expansion of America’s railroads. The B&O Railroad promised to connect the port of Baltimore with the Western states. The railroad was really a reaction to canal technology that took place in New York. The Erie Canal was built two years before the establishment of the B&O railroad in Baltimore. The canal was a threat to the commerce of Baltimore’s port, because it extended all the way into the Midwest, where a lot of products could be brought East. What happened was that the merchants in the city of Baltimore came together and worked out a plan of action to stave off the threat coming from the canal. What they did was they went to the United Kingdom and picked up railroad technology from there. They then brought this technology back to America. With this newfound technological knowledge, they succeeded in laying out America’s first long distance commercial railroad which extended from Baltimore all the way to the Ohio River. The B&O Railroad Museum contains a very large collection of artifacts. For example, the museum houses 250 pieces of railroad rolling stock and a whopping fifteen thousand 15,000 historical artifacts. The museum includes four major 19th-century buildings, one of them being its famous historic roundhouse. The museum also provides fun and interactive activities for children, such as a wooden model train. 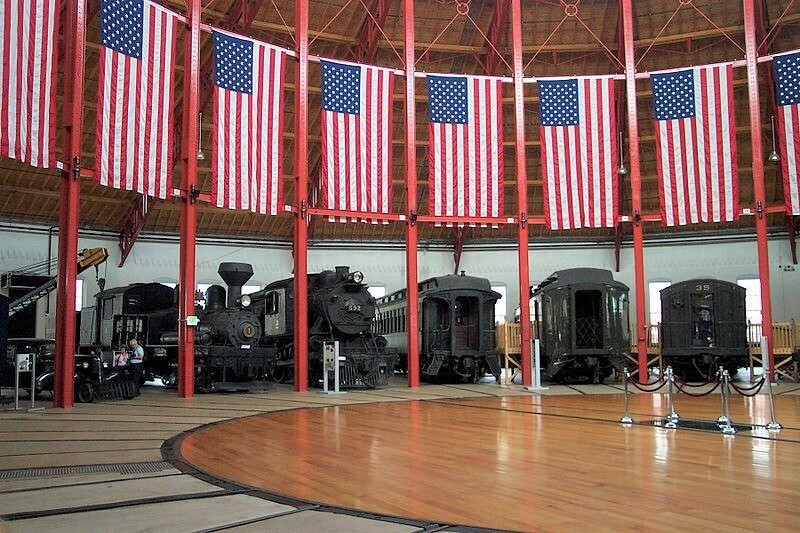 You can take a look at the museum’s official website for a full list of all that the B&O Railroad Museum has to offer. For places to eat in Baltimore go here. Go here for another great place in Baltimore.